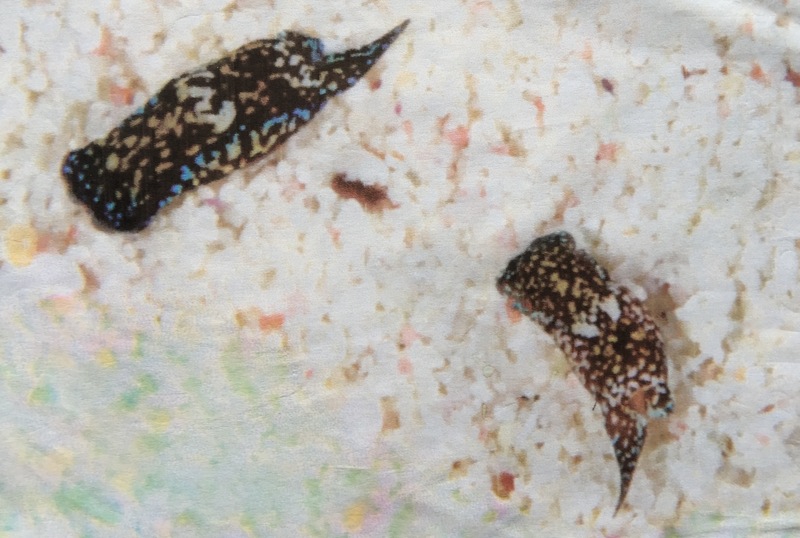 Two head-shield sea slugs cavort in a kraal during last year’s catch and release Blacktip Island Sea Slug Rodeo. A Blacktip Island fall tradition came under fire Wednesday when protestors occupied the beach where the two-day Blacktip Island Sea Slug Roundup is slated to launch this weekend. “Our forefathers were farmers and fishermen,” said event organizer Led Waite. “Slugs were a threat to their fall seaweed crops and had to be culled from the shallow reefs. The protestors decried the roundup as inhumane. “Forcing nudibranchs into those little pens isn’t natural,” said Harry Pickett, president of the local People for the Ethical Treatment of Slugs. “You get that much slime in that small an area, slugs suffer. Coral dies. Local businesses are concerned about the protest’s economic impact. Organizers, meanwhile, stressed the roundup’s eco-friendly nature. The roundup winner will receive the coveted Golden Slimy Doris trophy. All proceeds go to the Blacktip Island Retired Seaman’s Guild.